The term 'power of attorney' refers to a document that gives another person the authority to conduct personal business on your behalf. Many people choose to create a power of attorney at the same time as a will or as part of their estate planning. Once the power of attorney is signed, the person you appoint to handle your affairs, known as your agent, can legally perform any act you would be able to perform for yourself. There are different types of financial powers of attorney, based on when the document becomes effective and what powers it confers on the agent. A traditional power of attorney is effective when it is signed and remains in effect until you become mentally incapacitated. A durable power of attorney is effective when signed and remains effective, even if you become mentally incapacitated. A durable power of attorney can be effective for a lifetime, unless it is cancelled. Some states also permit a springing power of attorney, which "springs" into effect when a specific event happens, like a medical emergency. 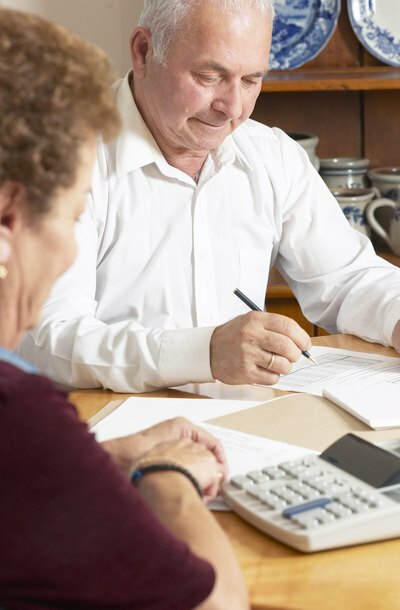 Besides being able to spend and misuse your money, having power of attorney also allows the agent to make other financial decisions that could be devastating. Having authority granted by the power of attorney often means your agent can buy and sell assets, like stock or property. The agent could also use your money to make poor investments, misuse your access to credit, incur debt in your name, or fail to pay your expenses in a timely manner. All of which could have severe consequences for your financial well-being. Choose your agent very carefully. The person you designate as your agent will have unmonitored access to your personal information and funds. The agent will be doing business for you at a time when you are likely unable to keep close tabs on him. Consider including a provision in your power of attorney document allowing for someone to check up on your agent. It is also a good idea to inform your friends or family about your choice of agent because if they suspect the agent is acting improperly, they may be able to take legal action to have the power of attorney authority revoked. To protect yourself, you can include language in your power of attorney document limiting the power of your designated agent. It would be wise to express clearly in the document any powers that your agent does not have and list in detail which powers are granted. You can also create a limited power of attorney, one that is temporary and revocable. A limited power of attorney allows your agent to conduct only specific transactions on your behalf. For example, a limited power of attorney may allow your agent one-time access to a safe deposit box to retrieve an item for you, but gives him no other authority whatsoever. When you want to give someone authority to make decisions in your place, a power of attorney is one way to proceed. This legal document gives one person, called the agent, the power to act for another person, called the principal. In the document, you describe the scope of authority you are granting your agent. Powers of attorney are intended to benefit the principal making them, so generally you are free to create as many as suit your needs.